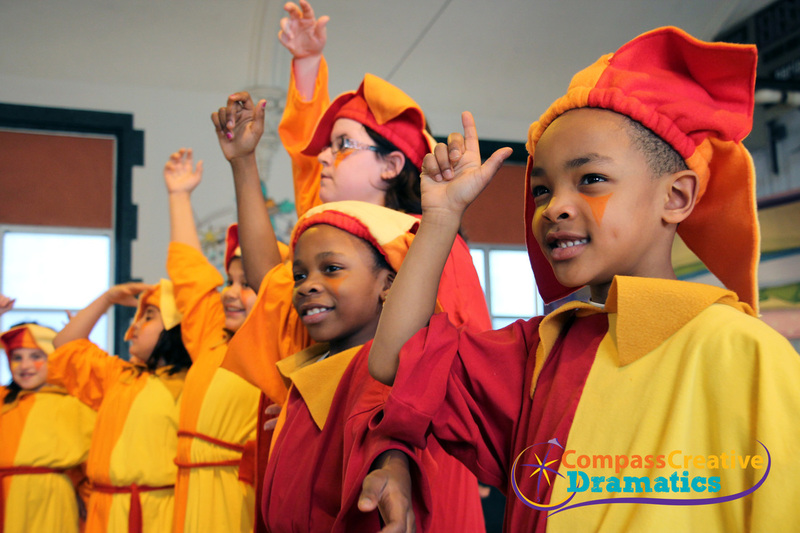 COMPASS CREATIVE DRAMATICS - Compass Creative Dramatics - Theatre Camps for Kids! Your local students + 2 professional actors = an amazing musical in just one week! 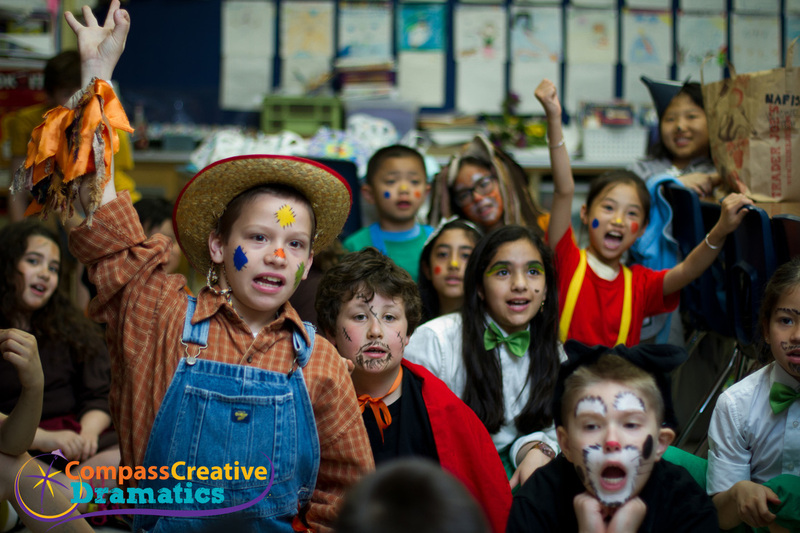 Discover how to bring a Compass Creative Dramatics Theatre week to your community! At summer camp, students stretch their creativity and bravery muscles through rehearsals for The Jungle Book or The Jumping Jacks & The Beanstalk, as well as through afternoon classes in topics like dance and clowning. Camp is a full-day program (9am - 3pm), with extended care available 8am - 9am and 3pm - 4pm in some locations. Early Bird Registration ends February 28th, so register today! We'll be bringing week-long theatre experiences to students all year long. Sponsoring organizations like PTOs and PTAs, libraries, church groups, community theatres, and other youth organizations for students in grades 1-12 can host a residency where students learn, play, and perform alongside two professional actor/educators who'll stretch their creativity and bravery muscles and help instill trust, responsibility, teamwork, and empathy. Are you part of a school, performing arts center, community theatre, church, or other community organization that would like to host a children's theatre week with Compass Creative Dramatics? Learn more about our week-long theatre experiences with this video.